I blog about Ember development. 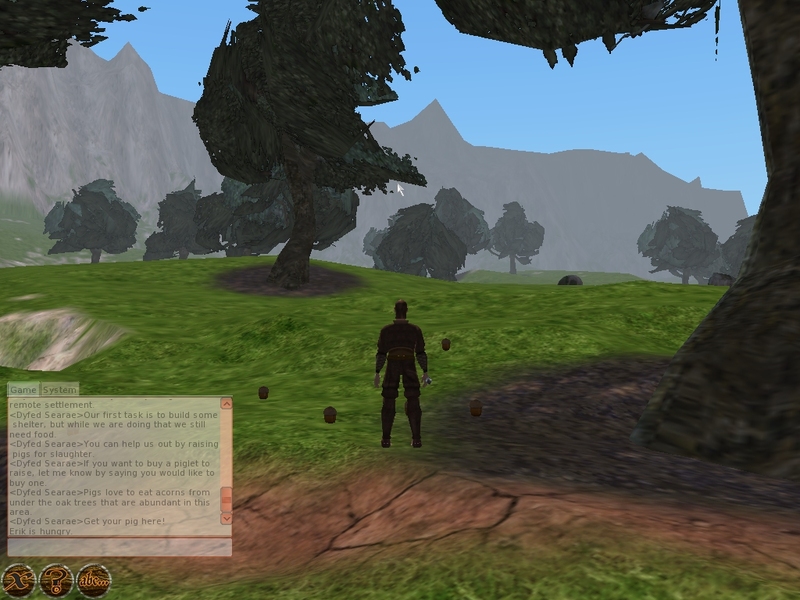 Ember is a 3d client for the Worldforge virtual worlds system. After releasing the beta 1 of 0.5.0 I've gotten some nice feedback from both Al and Simon, mainly related to gui and user interaction issues. As a developer it's too easy to become accustomed to all the quirks and inconsistencies in the interface, to the point that you don't notice them any more. Therefore it's great to get some fresh outside perspective on the player experience. I've fixed most of the issues in cvs and should publish a beta 2 soon. I still haven't looked at getting it to compile on Windows though. Hopefully roger will be able to provide me with a working compilation solution. One thing that's still bothers me is that the world doesn't look as good as it should be able to. There's still a lot of rough edges and bad lightning. The main reason for this is that I've focused on providing other functionality, such as editing and underlying frameworks for scripting, model definitions etc.. There's tons of things that could be done to improve the look, chief amongst them is to make better use of shaders. Currently there's pretty much no shaders used at all. In previous versions I've used shaders for the terrain, but since I got some strange artifacts on ATI cards I disabled that. Using shaders I would get a much better looking terrain, as well as a nice speed boost (since I don't have to do the multipass texturing I do now). Another thing which would improve the look a lot would be some normal maps on the characters. The current vertex lightning makes them look very blocky and jagged. With normal mapping and per pixel lightning it would be possible to give them a much smoother look. As I've gotten the entity editor in a working state I'm gonna take a closer look at some of these issues. It's a shame not to utilize the many, many nice features of Ogre. Dont you plan to change the current movement scheme? I find easier to use A/D for rotate instead of using mouse. In 0.5.0 it's much easier to move since you now can click on the ground and have the avatar move there. Almost all of the input can be configured in ember.conf, however I haven't added any commands for rotating yet. I've added that to the TODO list (http://wiki.worldforge.org/wiki/Ember_ToDo_List ).